Pakistani singer Atif Aslam, who crooned his way into the hearts of Indians with Bollywood songs, has revealed he has acting offers from the industry and is open to them. “Artists don’t belong to any nation,” he says. “I would like to act in a Bollywood film. It’s not my forte, but I want to give it a try,” Atif Aslamsays He is appreciated not just for his singing abilities but also for his suave looks and style statement. “I have various offers from Bollywood but nothing has been finalised. I am reading scripts at the moment. Once something is finalised, I will make an official announcement,” he added. Atif Aslam gained popularity in Pakistan with his band “Jal”. He made his presence felt in India with the song “Aadat” in the film “Kalyug”. He became a name to reckon with, delivering hit songs like “Woh lamhe” from the film “Woh Lamhe”, “Pehli nazar mein” from “Race” and “Bakhuda” from “Kismat Konnection”. “Music is an art form that has no boundaries. Artists don’t belong to a nation; they should be free to work wherever they want to,” ATIF ASLAM said. However, the singer has kept his Indian assignments limited. When asked for the reason, the 26-year-old said he believes in quality rather than quantity. “I have always focussed on quality work and not quantity. I am not singing just for money and fame. I am singing for myself because I like it. Thus, selecting a few but nice songs was a conscious effort. The lyrics of a song are very important to me,” he said. Atif Aslam also revealed he had never planned to sing in Indian films, but it just happened. “Bollywood just happened to me. I had not planned it this way. I was quite successful in Pakistan; so I started getting offers from the Hindi film industry too. I like singing in Indian films because you get a lot of exposure here. You get to learn many things,” he said. The singer has sung two songs – “Tera hone laga hoon” and “Tu Jaana na” – in the romantic comedy “Ajab Prem Ki Ghazab Kahani”. “I didn’t make any changes to my singing or any other efforts to sing this song. Just that I thought about my first love while crooning this number. 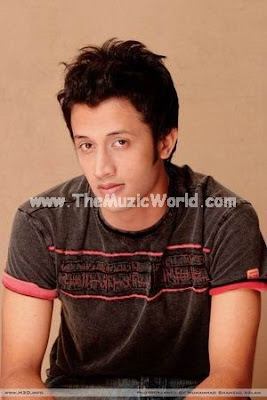 It gave me the same kick,” ATIF ASLAM added. YOU KNOW I LIKE YOUR ALL SAD AND ROMANTIC SONGS. I NEED TO KNOW THAT YOU WANT TO BE MY FRIEND.